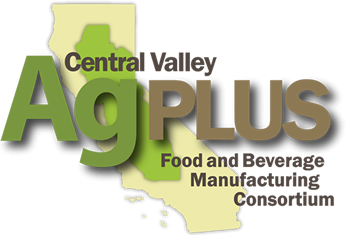 AgPLUS will explore the feasibility of setting up a regional finance fund to provide a new financing vehicle for those who want to invest in regional businesses, social enterprises and infrastructure projects, including in the food and Ag industry cluster, and provide new financing resources for businesses and infrastructure projects in the region, especially those facing constraints in accessing capital. The fund could be an aggregator of funds with different streams of funding, including a revolving loan fund that could be set up through the region’s CDFIs, of which there are only a few. It would include opportunities for high net worth individuals, unaccredited investors, and those interested in social impact investing. Valley Vision and other regional partners have been working with the California Financing Opportunities Roundtable (CalFOR) convened by USDA Rural Development California and a wide network of partners and financial institutions, and will lead the process to assess the feasibility of designing and setting up a regional finance fund. A focus will be to leverage pension funds and other investment resources, including increasing the amount of CDFI funding available in the region. The process also will identify new investment funds in the region so as to better target gaps. The project will leverage a significant investment by the California Endowment through the creation of the California Freshworks Fund (for food-related ventures) and the new SlingShot project funded by the California Workforce Investment Board wherein regional partners will identify capital access gaps in the innovation ecosystem.